Similar to the OsirisJailbreak12, developer Jake James has announced the release of what is called as RootlessJB 3.0, a developer-only jailbreak. These few days it is, definitely, like a bullet train ride for the jailbreak community with so many exploits coming in the picture. This RootlessJB 3.0 is a developer-centric SSH-enabled jailbreak with support for A9, A10, A11 devices running iOS 12.0-12.1.2. As of now, this jailbreak is not available for general users because it needs a few inclusions to set it up and working like this developer-only version does not come with Cydia or Sileo. The initial 3.0 version of Jake James’ RootlessJB 3.0 didn’t provide any support for tweaks and tweak injection. However, immediately after the release of V 3.0, the developer released RootlessJB 3.1 which supports tweak injection thereby allowing the iOS platform to be customized. As of now, the RootlessJB 3.1 also supports only the A9, A10, and A11 devices. Moreover, the jailbreak cannot be used to tweak any sandboxed applications and only supports unsandboxed apps, like Clock, Home, Message, and Notes etc. Following are the features highlighted by Jake James for RootlessJB 3.1 via a tweet. Do check: CarrierChanger12 for iOS 12 to iOS 12.1.2 (Latest Update Download). Cydia is still not added to the RootlessJB 3.1 as well, therefore, the tweaks still require a direct installation over the device via SSH. Also, another limitation of this release is that PreferenceLoader is broken which creates problems in configuring the installed tweaks. However, in spite of all these limitations, the RootlessJB 3.0/3.1 are receiving immense attention from the developers as well as the general public of the jailbreak community who is having high hopes for an iOS 12-12.1.2 jailbreak coming up in the public domain soon. 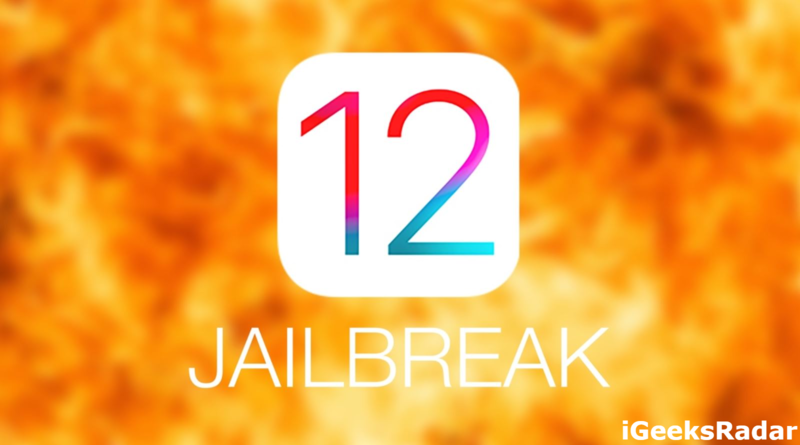 How far are we from a jailbreak for iOS 12-12.1.2 for the public domain? Since the RootlessJB 3.0/3.1 is offered only to the developers with the required skills, it will be really interesting to see how the scenario progresses. Meanwhile, if you are not a developer but are interested to know more about the progress going on with the RootlessJB 3.0 you can check the same on the GitHub page. Moreover, if you are interested in downloading the RootlessJB 3.1 IPA file, please navigate to the associated GitHub page here. It is still very early to say anything about this jailbreak. However, reiterating what has been said above, this jailbreak is not recommended for the general public as it will cause a lot of issues for the general device owner. Therefore, it is best to leave this thing for the time being in the hands of skilled developers who know what they are doing. Stay tuned with us for more updates on RootlessJB 3.0/3.1 for iOS 12.0-12.1.2.
iOS 12.1.2 Kernel Exploit Released for Next Jailbreak (Ian Beer Release).